Three of the most trusted names in the SUV business in North Miami are Honda, Toyota and Jeep. Jeep, Toyota and Honda have an excellent line of vehicles that are convenient for driving and parking on the congested local roads of Miami Beach and North Miami. Various small SUV models, like the compact Honda CR-V, Toyota Rav4 or Jeep Renegade or Compass, are small enough to fit into tight spaces and their fuel efficiency makes them great vehicles for the daily commute in South Florida. There’s also the iconic Wrangler, which has a removable top that makes the Wrangler excellent for riding around Miami Beach. On average, Jeep SUVs are more affordable, versatile and have more off-road functionality than both Toyota or Honda SUVs. Whether looking for a fuel-efficient compact crossover or SUV, an off-roading monster or a trusted everyday SUV, Jeep has something for everyone. Three subcompact SUVs on Kelley Blue Book’s “10 Best SUVs Under $25,000” include the Jeep Renegade, Honda CR-V and Toyota Rav4. The newest of these subcompact SUVs is the Renegade, and despite its young age, it is one of the best small SUVs on the market. The Renegade is the only one of the three vehicles that was an Editor’s Choice pick by the trusted auto publication, Car and Driver. With a starting price of $17,995, the Renegade is substantially more affordable than the Honda CR-V and the Toyota Rav4. 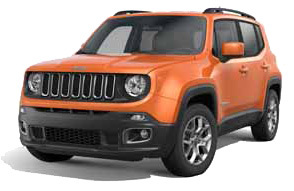 Despite its affordability, the Renegade also offers comparable horsepower and the best maximum towing capacity of the three vehicles. The Renegade’s engine powers out 180 horsepower, the Honda CR-V is 185 horsepower and the Toyota Rav4 is 176 horsepower. The Renegade offers the highest maximum towing capacity of about 2,000 pounds, which is enough to trailer a couple of jet-skis to and from Miami Beach. The Honda CR-V and the Toyota RAV4 have a towing capacity of 1,500 pounds. When comparing fuel economy, the Toyota Rav4, Honda CR-V and Renegade are all pretty similar. The Renegade and Toyota RAV4 both have an average fuel economy of 24 mpg city and 31 mpg highway. The Honda CR-V averages about 26 mpg in the city and 33 mpg on the highway. While the above is a comparison of all of the base models of each model’s base trim, all three of these vehicles are also available in different trims, all of which range in engine, interior specs and exterior features. The Renegade’s most basic trim is the Renegade Sport, and there are also six other trims, including the off-roading monster, the Renegade Trailhawk, and two limited-edition models, the Renegade 75th Anniversary Edition and the Renegade Dawn of Justice Special Edition. The Toyota Rav4’s base trim is the Toyota Rav4 LE and there are six different Toyota Rav4 trims, two of which are hybrid options. The full Toyota Rav4 lineup includes the Rav4 LE, Rav4 XLE, XLE Hybrid, SE and SE Hybrid. The Honda CR-V is available in five different trims. There aren’t any special-edition or hybrid trims for the Honda CR-V lineup. The entire model lineup consists of the Honda CR-V LX, CR-V SE, CR-V EX, CR-V EX-L and the CR-V Touring. A more detailed comparison on the Renegade, Toyota RAV4 and Honda CR-V is below. road functionality, in both two- or four-wheel drive. Equipped with a 3.6-liter V6 engine, the Grand Cherokee has a maximum towing capacity of up to 6,200 pounds, while the 3.5-liter Honda Pilot has a maximum towing capacity of 3,500 pounds and the 4.0-liter Toyota 4Runner has a maximum towing capacity of 5,000 pounds. The Grand Cherokee has an average fuel economy of 19 mpg city and the Grand Cherokee has an average of 26 mpg highway and the Honda Pilot has an average of 27 mpg highway. The Toyota 4Runner offers drivers about 17 mpg city and 22 mpg highway. 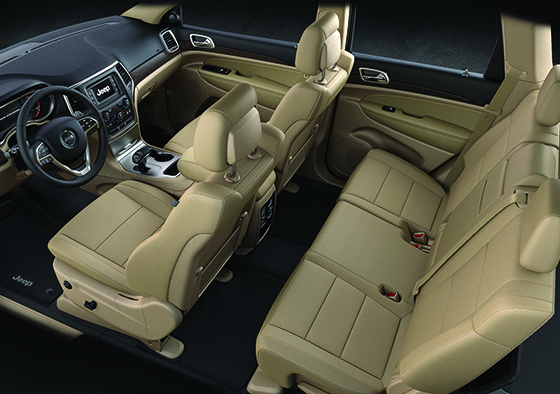 The Honda Pilot has a seating configuration for more passengers, and the Toyota 4Runner has the option for additional seating. However, for buyers that need a capable and strong SUV for a few passengers, the Grand Cherokee is the most affordable option and has great fuel economy. Like the other vehicles, these three models are available in a variety of trims. The Grand Cherokee’s eight trims include the Grand Cherokee’s base model, the Grand Cherokee Laredo, and two luxury trims, the Grand Cherokee Summit and the Grand Cherokee High Altitude. The Toyota 4Runner lineup includes four trims. In addition to the Toyota 4Runner SR5, 4Runner Trail, 4Runner Limited, the 4Runner has the TRD Pro, which is the trim equipped with the most off-roading features. The TRD Pro has all-black rims and is only available as four-wheel drive. The Honda Pilot has five different trims. The Honda Pilot’s base trim is the Pilot LX and there is also the Pilot EX, Pilot EX-L, Pilot Touring and Pilot Elite, the most expensive trim. 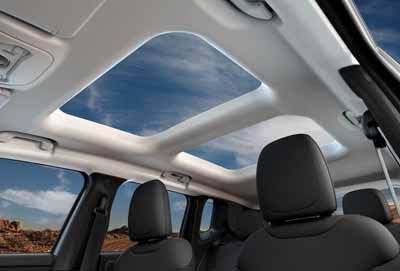 The Honda Pilot Elite trim includes 20-inch rims and heated second-row seats. A more detailed comparison on the Grand Cherokee, Toyota 4Runner and Honda Pilot is below. It’s no surprise that Jeep makes the best off-road SUVs and Honda and Toyota vehicle options don’t come close to the amount of off-roading features available on Jeep vehicles. 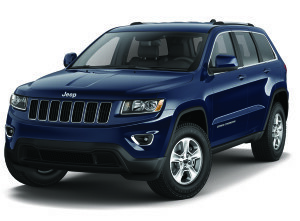 Since it’s creation in 1941, the Jeep brand has been dedicated to improving and perfecting their SUV model lineup. As one of the only car brands that specializes in SUVs, their model lineup has some of the strongest and most diverse off-roading features available. The Jeep vehicles, Wrangler, Wrangler Unlimited, Grand Cherokee and Cherokee are all top names in the off-roading SUV world. Unlike Toyota or Honda SUVs, the Jeep Wrangler comes standard with four-wheel drive and its rugged style is perfect for the laid-back lifestyle in North Miami and Miami Beach. The removable soft- or hard-top back cover is a great way to enjoy the beautiful beach weather that South Florida has year-round. The spare tire on the Wrangler’s lift gate and its iconic 7-slot grille and round headlights give it the classic feel that many people love and recognize. The Grand Cherokee SRT has performance capabilities unmatched by Honda or Toyota. A few years ago, Jeep paired up with the advanced performance engineering from Chrysler Group’s Street and Racing Technology (SRT) team, to produce this Jeep which is one of the most high-performance SUVs available. The Grand Cherokee SRT has a 6.4-liter HEMI V8 that delivers 470 horsepower and 465 lb.-ft. of torque and it accelerates from 0-60 mph in 4.8 seconds. It also features an active valve exhaust system that allows standard Fuel Saver Technology to engage over a wider rpm range for fuel efficiency and a 450-mile range. 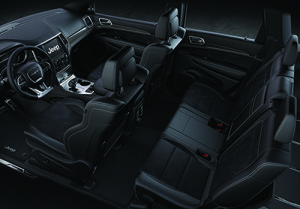 In terms of luxury, the Jeep Grand Cherokee SRT competes with the luxury features offered on the Toyota Highlander. 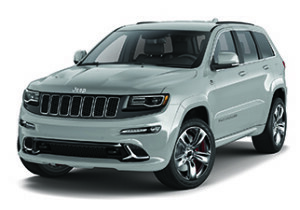 The Grand Cherokee SRT trim is equipped with luxury features like a large touchscreen display, a 19-speaker Harman Kardon premium audio system and heated, high-end leather seating.